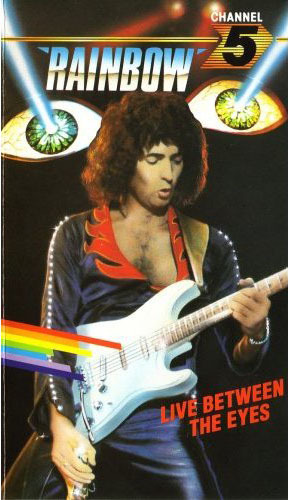 For years this VHS of Rainbow live in concert was the only official live video recording available to fans. It’s an impressive show filmed in San Antonio, Texas in 1982 featuring the ‘Straight Between The Eyes’ album line up and the majority of the songs are from Rainbow’s post 1979 back catalogue with only ‘Long Live Rock ‘n’ Roll’ from the Dio era. The concert closes with the obligatory ‘Smoke On The Water’. Overall the band and Blackmore come across very well, with plenty of energy. Now available on DVD release complete with the long deleted ‘The Final Cut’ which compiles the band’s promotional videos from 1979-1983.